Why does the Great Lakes need a spatial framework? The need for consistently managed and spatially comprehensive Great Lakes data and information has long been recognized. Many efforts and resources have been invested in data collection and synthesis, database development, information delivery, habitat classification, and mapping. This framework allows for the standardization of geospatial data to a hierarchically nested set of grid cells to be used as building blocks for informing management decisions and developing other spatial products such as aquatic habitat classification, nearshore assessment, and decisions support tools. What does the GLAHF spatial framework package include? More detailed information about the framework structure can be found in Wang et al. (2015). 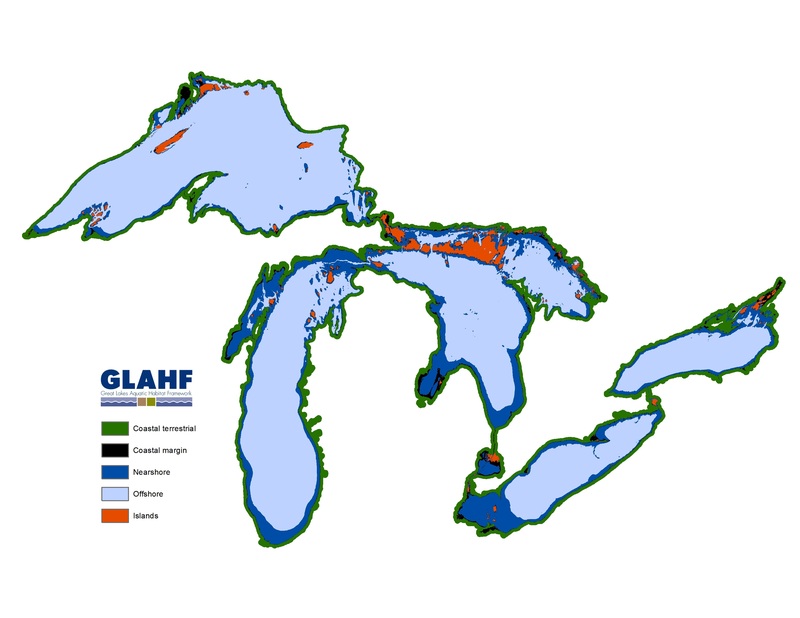 The GLAHF framework design and structure was built based on input from a panel of advisers including resource managers, GIS technical experts, and scientists.